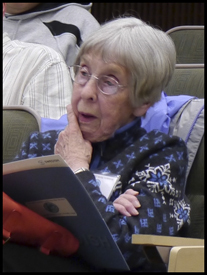 Betty Heyano, co-founder of the NWARIN chapter recently passed away. Betty was 84 years old. She was born in Bellingham, Washington, and is survived by her son Scott, who lives in Seattle. Betty graduated from St. Luke’s in Bellingham in 1949, and went on to work in New Orleans, Kentucky, Hawaii, and Alaska. Her last 25 years of nursing was spent at Swedish Hospital in Seattle, having worked in the Emergency Room prior to coming to Radiology in 1985. After coming to Radiology, Betty determined a need for more educational and networking opportunities in the Northwest, and was responsible for developing our chapter in 1987 with Kathy Scheffer, another local nurse from Tacoma. Betty made quite a positive impact in the Radiology department prior to her retiring in 1994. Betty volunteered at several charities. One of them was at the Children’s Hospital Thrift Store. NWARIN has made a donation in her memory to her charity of choice: the Children’s Hospital Uncompensated Fund. Also, in Betty’s Memory, due to her passion for education, NWARIN is developing a Betty Heyano Memorial Scholarship Fund. Betty would be proud to know how we are honoring her memory and contribution to Radiology Nursing.